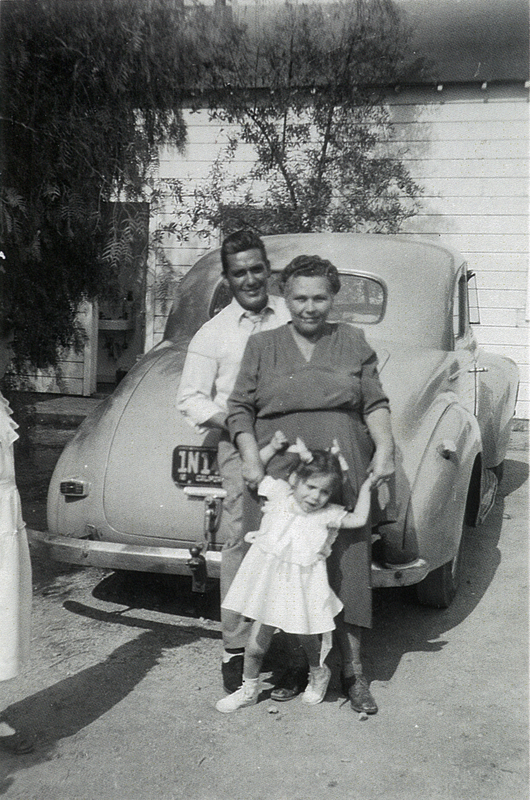 SCVHistory.com FF5101 | Tataviam Culture | Chief Mary Cooke Garcia, Son Louis F. Garcia, GD Hearaldine Romero, Pacoima ~1951. The ancestry of all three can be traced to individuals who lived in the Santa Clarita Valley prior to European contact in 1769. FF5101: 9600 dpi jpeg from smaller jpeg courtesy of Geraldine Romero Perez.